My 62 series 3 has the welded on type on lower cable guide on the fork rather than the one held on with the fork link bolt. I'm think of cutting the factory one of going the later bolt on type as its seems a better solution and looks much neater... Anyone else done this? 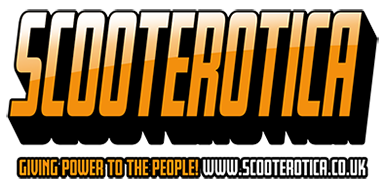 I've done it on all the scooters I've restored. It looks so much nicer with the bolt fixed guide. Cheers guys, that’s what i’ll do then. I've just recently had my series 2 forks refurbed and am really pleased that my friend reinstated the loop welded to the forks. Just for a bit of balance,I've got a series 2 and series 3 with bolt on cable guides and a series 1 with the welded wire type.